Our constituency lived a historical turning point last 15 and 16 July, when a group of major global cities brought to the UN a firm pledge for the Right to Housing in the form of the Declaration “Cities for Adequate Housing”. This global call to action builds on the #MakeTheShift campaign, launched by the UN Rapporteur on Adequate Housing. Local and regional governments are now demanding coordinated action to tackle speculation and the growing power of global corporations over real estate market and life in the contemporary city. To put this call into concrete actions, UCLG will be facilitating a community of practice for local governments across the world to agree on diagnoses and to share practices and policies. Cities like Amsterdam, Barcelona, Berlin, Mexico City, Durban, Lisbon, London, Montreal, Montevideo, Plaine Commune, New York, Paris and Seoul are already part of this movement. Other cities, such as Madrid and Strasbourg, are on their way. In order to join it, we invite you to get in touch with citiesforhousing@uclg.org and to visit the website “Cities for Housing”. The Declaration is based on a clear commitment to promote renewed housing strategies, and to do it in terms of social inclusion and human rights standards. It is particularly linked to concrete challenges pervading the realization of the right to housing, such as the lack of national funding, market deregulation and housing commodification. Local governments signatories of the Declaration agree on this diagnosis and further commit to implement local actions and policies to render its content concrete. In order to make sure they come together to effectively contribute to local and global efforts to tackle the housing crisis, signatory cities will become part of a Community of Practice facilitated by UCLG. The Declaration goes beyond local governments’ commitments: it has actively engaged in a multi-stakeholder dialogue with other international networks of cities, civil society organizations, researchers and public figures. Signatory organizations and individuals will become part of such ongoing dialogue and exchange. Participate in the valorization at the global stage of practices and policies successful in tackling speculation and guaranteeing the right to housing. In 2016, the UN Special Rapporteur on Adequate Housing, supported by the UCLG Committee on Social Inclusion, Participatory Democracy and Human Rights, launched #MakeTheShift at Habitat III: a global campaign for the Right to Housing. Since then, the Shift and UCLG have worked together on developing common voices around adequate housing at a global scale. In this regard, between 2017 and 2018, UCLG has developed its Wave of Action on the Right to Housing. This initiative has been promoted in the framework of the UCLG Committee on Social Inclusion, Participatory Democracy and Human Rights and the UCLG Policy Council on the Right to the City. 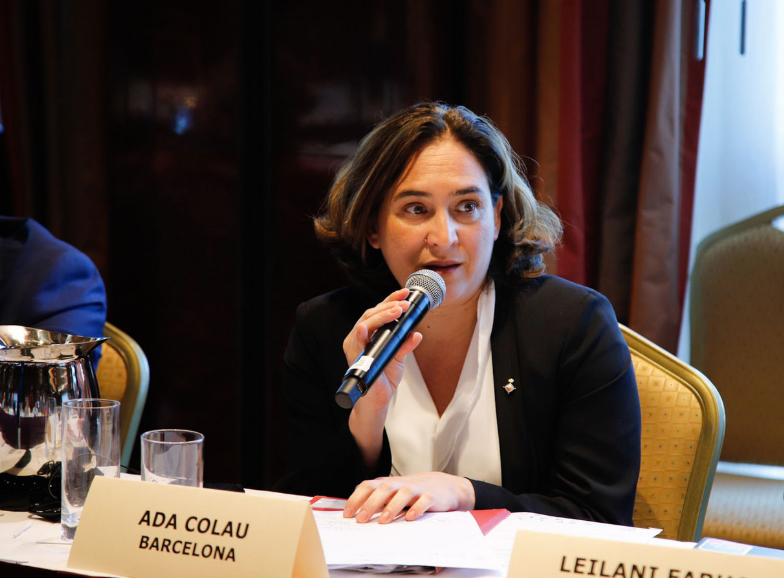 At the initiative of the City of Barcelona, UCLG initiated the process for a declaration aimed at rallying local governments worldwide to fight the financialization of cities. A Special Session held last 15th July 2018 gathered some of the first signatory cities to show their political commitment towards the document and provide fresh inputs for its follow-up. The Cities for Housing Declaration was officially launched during the first Forum of Local and Regional Governments ever held within the framework of a UN’s High-Level Political Forum (HLPF). The Declaration builds on all these achievements. It clearly represents a breakthrough on how the agendas for the Right to the City and Human Rights can be advanced in parallel to the localization of the 2030 Agenda.